Just because you buy something doesn’t mean you necessarily own it. It’s a strange reality of the world we live in. Such is the case when you buy something on a secured loan. Until the loan is repaid, you never truly “own” the item. It might be a house, a boat, or in our case — a car. So long as you make your regular repayments, everything is fine. In fact it can sometimes be a bad thing to try to get ahead of them — most financial institutions want you to be repaying for as long as possible to get more interest, so penalise you for closing loans early. But what happens if you stop making your repayments? What if you simply can’t? Some places will give you options for delayed or deferred payments, but this will only stretch so far. Eventually, if you don’t pay, they will come to claim your vehicle. Is it the end of the world? Will you ever see your car again? What are your options? So first off, when can a car actually get repossessed? If it’s part of a secured loan and you default (fail to pay) on your payments. Keep in mind the car itself needs to be part of the secured loan. If you draw on your mortgage to buy the car, the house is the security, not the vehicle. And we’re not going to touch mortgage defaulting here with a ten foot pole. First you’ll get a notice telling you the bank or other financial institution is going to repossess the vehicle. They must give you 30 days warning before taking the car. • Negotiate with the provider. This might be a modified repayment plan, a delay on the enforcement of the action, or even request a hardship variation if you’re sick or unemployed. • Any ongoing costs in storing the repossessed vehicle. • A statement of your rights. From there, they cannot legally sell the vehicle for a further 21 days from the issue of this notice. Assuming they’re slow with issuing their letters, this can give you 5 weeks from the day of repossession to come up with the funds to pay for the loan and repossession. If you haven’t paid by the end of the 21 days, they sell the car for the best possible price. They’ll then let you know how much is still outstanding for you to repay. This will be your already outstanding loan plus repossession and sale fees minus the cost of the vehicle. Can Someone I Know Buy My Repossessed Vehicle? Yes. You can inform your credit lender that someone you know is willing and able to purchase the vehicle. If you provide this offer in writing, they must offer to sell the vehicle to that person. Julie took out a personal loan to buy a new car. When she lost her job, Julie fell behind on her repayments and the bank repossessed the car. When the bank wrote to Julie to advise that the estimated value of the car was $15,000, her parents offered to buy it at that price. Julie then provided the bank with her parents' details and the bank sold the car to them. However, because Julie's outstanding balance on the loan was $18,000, she had to pay $3,000 to end her credit contract. Your credit lender cannot repossess your car if you owe less than $10,000 or 25% of the total loan, whichever is lower. Additionally, they cannot enter your property to reclaim the vehicle without a court order. 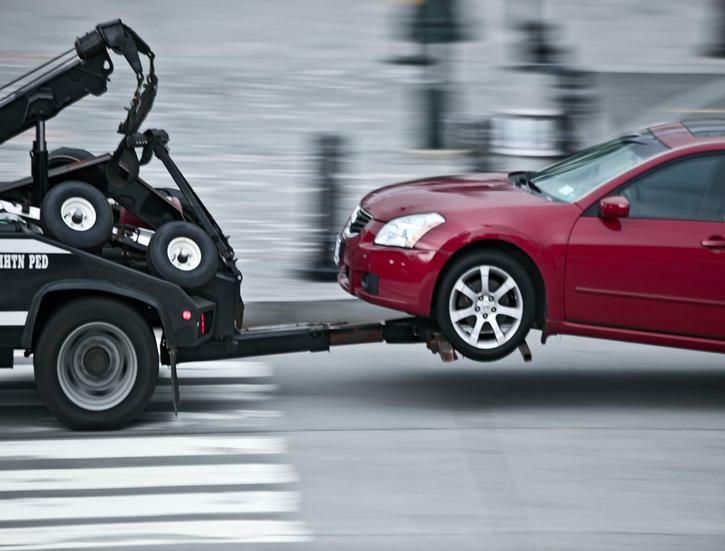 What this means is if your car is on the street, they can repossess it as soon as they are legally able. You get no say in the matter, as your car is on public property. If the car is parked in your garage or on your driveway, however, they must first get a court order to enter your property, unless you personally allow them access. In short, keep your car on your property. What If I Bought An Encumbered Vehicle? All of the above assumes you were the one who bought the car with the loan — but what if you bought a car with a loan attached to it? Long story short, you’ll still lose the car. As the new registered owner of the vehicle, you may be the one to start getting notices from the financial institution, however they should still go to the original buyer. You can offer to buy the car again — but you’ve already paid for it once. Other than that, you really have no options available to you. The original buyer never truly owned the car if they hadn’t paid off the loan when they sold it on to you, the credit lender did. This is why getting a REV Check and PPSR Report is so important. A cheap REV check will tell you straight away if there’s an outstanding loan attached to the vehicle. You’ll even be able to contact the financial institute involved and find out more details. This can help protect you from having your “new” car taken from your hands.